In June 2009, the Gymnasia Rehavia High School in Jerusalem celebrated its centennial. The school was founded in 1909 and became one of the landmarks of Zionist education, preparing graduates for the heady task of building the modern state of Israel. At this gathering, some 3,000 alumni filled the school’s courtyard ranging from recent graduates to the elderly. Nachman Shai, a school alumnus and Knesset member, was the evening’s master of ceremonies. In the audience there were scores of high-ranking politicians; former army generals; titans of finance, law, arts, and world-famous academics. At one point, Shai asked those who still live in Jerusalem to stand. I got to my feet and realized I was one of only a handful who was standing. Throughout my adult life, I have felt that living in Jerusalem is somehow counter-cultural, going against the norms of most of my peers and likeminded people. What is it about Jerusalem that compels its best and brightest to leave? Why do Israeli friends of mine constantly ask me how I can still live in the city or wonder when I’m going to move to Tel Aviv already? The city, which celebrates its 44th Jerusalem Day on June 1, has changed dramatically in the past 100 since my grandfather’s arrival from Odessa and his decision to settle there as opposed to Tel Aviv or a kibbutz. I too have witnessed much change in my lifetime. Until 1967, I was living in a small city on the frontier with a hostile border. Jerusalem was sleepy, modest and fairly homogenous. As we were physically detached from the holy sites on the other side, the focus was on building the new capital in the West to serve the young State of Israel. Then came the Six Day War. On June 26, 1967, two weeks after the war ended, the government of Israel declared the new municipal boundaries of the city of Jerusalem. Overnight, the city’s territory quadrupled and Jerusalem grew into a large metropolis, the size of Paris. From that point on, my identity as a Jerusalem-born Israeli and my political consciousness were shaped by the city’s transformations. The first 10 years after the war were filled with excitement. Jerusalem became more cosmopolitan and the exaltation over the ancient sites, with the Western Wall at their center, made it impossible to question the unity of the city. It took years to realize at what cost this victory was gained and what were the implications of the new reality it had engendered. Forty-four years later, the city is significantly different from the reality that prevailed after the Six Day War. The change is almost impossible to articulate. But here are a few facts: The population of Jerusalem has risen to about 800,000 (of which 35% are Palestinian); the ultra-Orthodox community has grown exponentially; the city suffers from high rates of poverty and national and ethnic divides between populations; terror has left its mark on the city; finally, a new security fence is separating the Palestinians of East Jerusalem from their communities in the Palestinian Authority. The future of Jerusalem has become the stickiest point in any possible peace negotiation. As time passes, it seems that the emotions and passions of each party toward the city are intensifying and that the possibility of an agreement being reached on the status of its holy sites gets slimmer every day. Jerusalem is often portrayed in apocalyptic terms as a battlefield, a volcano about to erupt, or a “Titanic” sailing toward destruction. All this is true. But as these tectonic forces are at play, life goes on. Jerusalem’s residents are literally caught in the crossfire of the regional dispute. Unlike residents of ordinary urban settings, Jerusalemites are perceived as people whose daily lives are a form of a political statement. Indeed, they are on constant high alert and they live with a sense that the geopolitical reality of tomorrow might look very different than what they experience today. So it is no wonder that thousands leave in pursuit of a more normal way of living. On the other hand, those who remain, Jews and Arabs alike, have developed a robust adaptability to this reality. They have learned to go about their business, engage in mutual commerce and trade, share public spaces, promote many grassroots initiatives, create cultural and religious pluralism and welcome masses of tourists. Festivals abound, a rainbow of religious and academic institutions thrive, urban renewal is everywhere. Simply put and against all odds, Jerusalemites have heroically kept the city normal despite the direst predictions. I find myself at home with those who chose to stay. No one quite knows how and when the issue of Jerusalem will be resolved. So now is the time to pay more attention to the residents that embody the energies of this extraordinary city. The world should encourage and support Jerusalemites to continue to take their fate into their own hands, manage their city, and keep it vibrant and inclusive. When the politicians and heads of state finally emerge from their dark rooms and wave a peace treaty, they will find that the city of peace will be ready and willing to live up to its name. 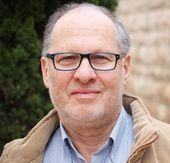 Dr. Elan Ezrachi, a native of Jerusalem is an independent educational consultant to international Jewish organizations, and a chair of a community council in Jerusalem. This story "Searching for Normalcy in the Holy City" was written by Elan Ezrachi.